Houma, La. — Louisiana State Police are heading up an investigation into a deadly shooting involving a Terrebonne Parish Sheriff’s Deputy and a 14-year-old boy. According to officials, the deputy was responding to a 9-1-1 call of several teenagers running into an abandoned house on Kirkglen Loop, with a weapon. Neighbors stated that this house had been abandoned for more than a year and kids were constantly seen running in and out of it. State police said the deputy reported encountering a group of juveniles at the home, and one was carrying a weapon and at some point the deputy opened fire, fatally wounding 14-year-old, Cameron Tillman. Three suspects are in custody following the shooting; two juveniles and an 18-year-old. A fifth suspect escaped out the rear of the residence, according to the deputy’s initial statement. The name of the deputy involved has not been released. “The weapon,” which has yet to be officially identified by police, was said to be recovered “in close proximity” to the 14-year-old’s body. 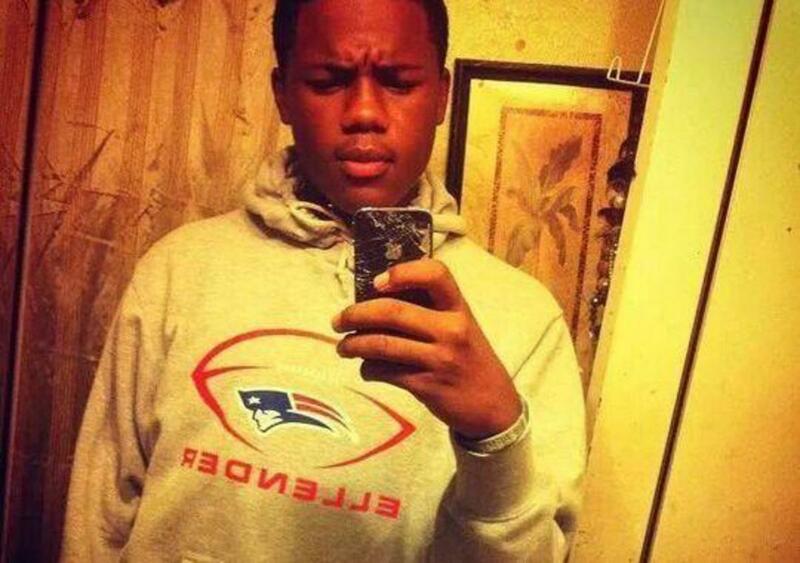 Relatives claim Tillman, who was an honor roll student at Ellender High School, was shot four to five times in the back. When reporters for WWL asked State Trooper Evan Harrell about the shots being fired in the boy’s back he claimed it was a rumor, but neither confirmed nor denied whether or not it actually happened. Harrell was also asked if the teens fired any shots at the deputy on the scene and this question was dodged as well. According to WWL, family and friends described Tillman as a timid and respectful teenager. He was a “tremendous athlete” starring in both basketball and football during junior high, said family friend Michael Legarde, who is a teacher at Ellender. Legarde said Tillman and his sons were close friends for most their lives and that Tillman was taking a year off athletics to focus on his studies. “He had heard all the hype about high school and just wanted to concentrate on his grades for the first year,” Legarde said. Legarde said Tillman lived a few streets down from the house where he died. He added that he believed “there was no way” Tillman and the others were robbing the home because it was completely empty. He knew this because he considered purchasing the property to add to about 20 others he rents out in the neighborhood. Many questions arise from the lack of initial details released by police in this case. Had Tillman or any of the other kids in the house fired at the deputy, it seems that we would have been told that fact immediately and this would have been reported as a justified shooting. Also, why is “the weapon” not identified? One does not need a team of scientists to look down at the ground and decide if an object is a firearm or a knife. The deputy claims that Tillman answered the door holding the BB gun, which is why he shot. However, the 3 witnesses to the shooting say that Tillman was not holding the gun when the deputy shot him. According to Tillman’s aunt, Comeako Tillman, “He (the deputy) came to the door and did not identify himself and started shooting when Cam opened the door.” The teens slammed the door after the first shot at which point the deputy fired more shots through the door striking Tillman.